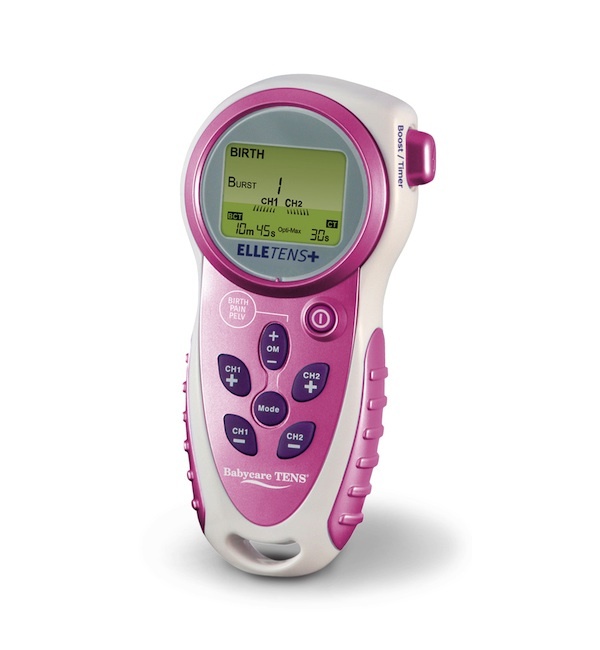 The Elle TENS Plus with contraction timer is the ultimate 3 in 1 labour TENS machine. Consisting of birth mode, pain mode, and pelvic toning mode, the Elle TENS plus has you covered during labour, recovery, and beyond. The Babycare Elle TENS Plus obstetric TENS machine essentially combines three great machines into one. 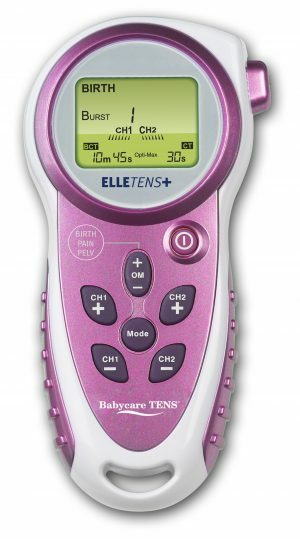 It is the Elle TENS (a labour/obstetric TENS machine with contraction timer), the Smart TENS (a regular TENS machine), and the Sensatone (a pelvic floor stimulator) all built into one palm sized machine. 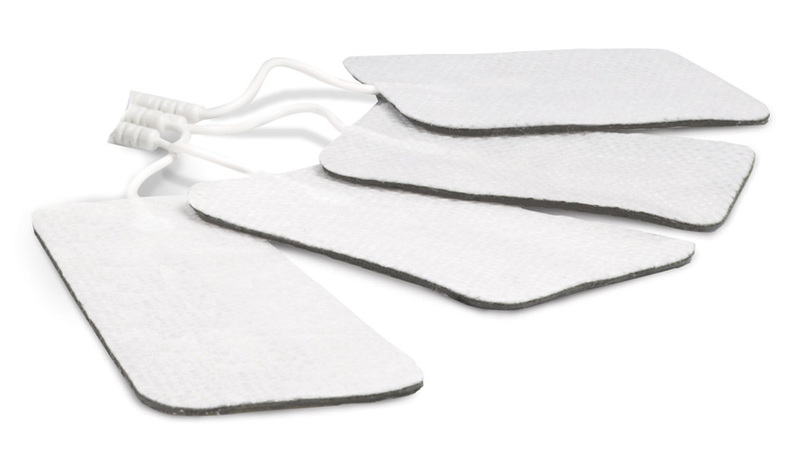 In this mode, the Elle TENS Plus can be used to help relieve pain associated with many chronic and acute pain conditions. Some of these may include pain caused by back, shoulder, or sports injuries, arthritis, migraine, menstrual pain, sciatica, and even postoperative pain. This mode makes the machine suitable to use in the weeks following childbirth, and also for use at other times when yourself or another family member may need it. When used with the included vaginal probe, this mode assists with pelvic floor toning. 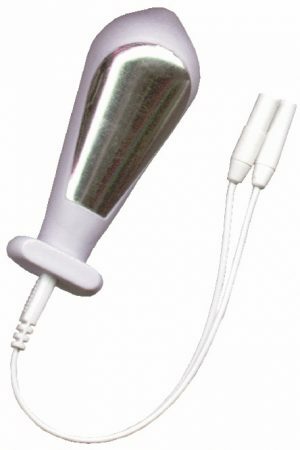 The Elle TENS plus has been designed and manufactured using the same cutting-edge technology as the original award winning Elle TENS machine and also includes the same great Opti-max technology. The Opti-Max technology provides you with an extra level of power for the times you most need it. It is mainly used during the last stages of your labour, since this is when you really want extra pulse power. However, you can take advantage of the Opti-Max power when you feel you need it at any time during your labour. 4 x large electrode pads (size 40 x 100mm). Extra packs of pads can be purchased separately. Because the Elle TENS products are registered as medical devices under the Australian Therapeutic Goods Administration, most health care providers will offer a rebate of either 100% or a percentage of the purchase price. We recommend you check with your health care provider, as the rebate will depend on your level of cover, eligibility, and application procedures. Want to know more about using a TENS machine during labour, visit our Labour TENS information and FAQ pages. To ensure you receive the best possible price, this item is shipped direct from our supplier.